Welcome to our website of Tamba Shinsei Church. Here is the good news that God is very much concerned about you. He loves you as your true Father. You were born to become a member of God’s family. The Church is the family of God on earth, sharing God’s love with each other. You are more than welcome to visit us at our Sunday services as well as other meetings. Every Sunday we have Sunday service and during the week we have various kinds of meetings. We will be very much looking forward to meeting you. 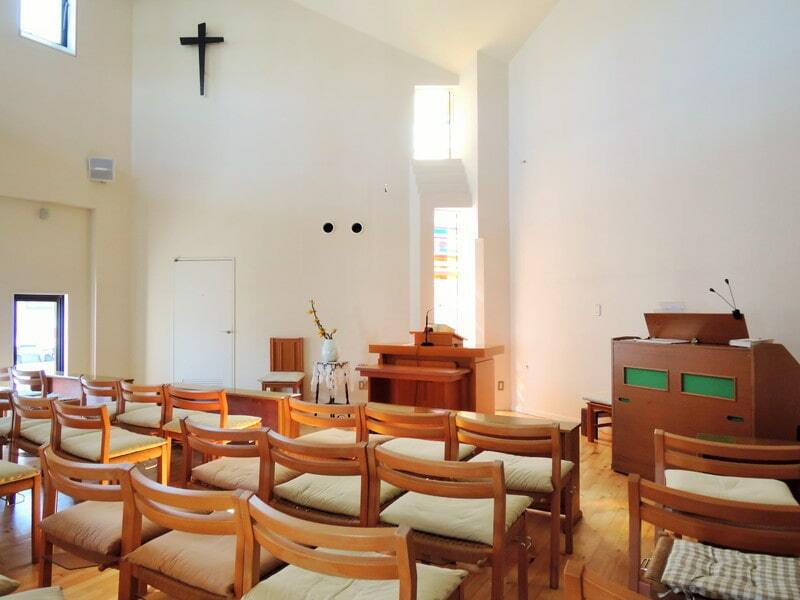 We have four chapels(Kameoka,Sonobe,Goma,Shuchi) where we meet each other on Sundays. Please feel free to attend one of the four chapels of our church.We will be very much looking forward to meeting you. Goma : The first and third, fourth Sunday(20:00～20:30). Shuchi : The second and fourth Tuesday(11:00～11:30). Kameoka and Sonobe : Three times a year, we have united services (we get together from various chapels at one of the chapels on Sunday). Goma and Shuchi : Sorry, sometimes we do not have services. ※Please get the information from "Next Schedule". We have a car park at each of the chapel. The space is limited and you may find difficult to get to the car park, so please call us for help. We also have meetings or events other than Sunday services. If you are interested in studying the Bible, or wanting to talk to the pastor, please feel free to get in touch with us. 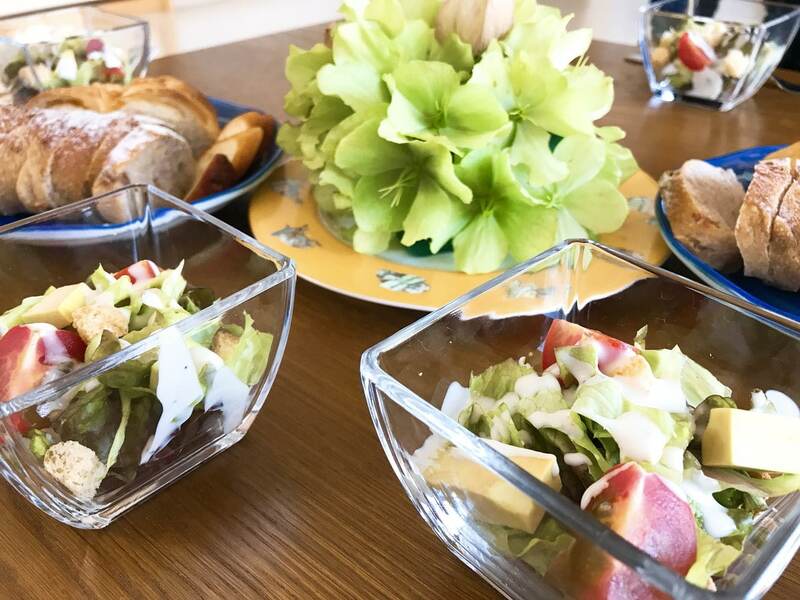 ‘Hatsu-Kin’ meeting : Evening meal will be served.Held on the first Friday of the month (18:00～20:00) at Sonobe chapel. ‘Koko Han’ meeting : A light meal party for those who feel awkward to attend a big meeting or find difficult to communicate with other people. Held on the third Sunday of the month (13:00～15:00) at Sonobe chapel. ‘Get-to-know-Christianity’ meeting : The first and third Saturdays (10:30～12:00), the second and fourth Wednesdays of the month (17:30～19:00) at Sonobe chapel. ‘Prayer meeting’ (+Bible study) : Every Thursday (13:30～14:30) at Kameoka chapel. ‘Kameoka morning prayer meeting’ (Interdenominational) : The first Tuesday of the month (10:30～12:00) at Kameoka chapel. Copyright© 日本キリスト教団 丹波新生教会 all rights reserved. © 日本キリスト教団 丹波新生教会 all rights reserved.